‘The Pub’ #99: What is a talk show supposed to be online? 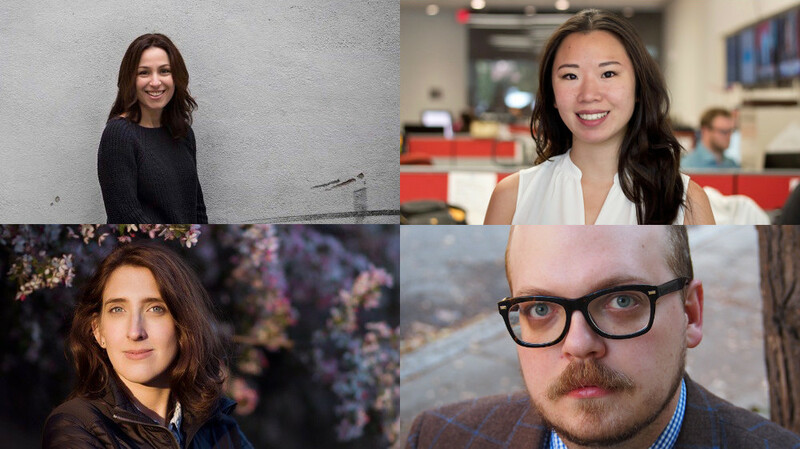 Clockwise from top left: Manoush Zomorodi, Ruth Tam, Gabe Bullard, Kelly Moffitt. Talk shows can be intense — even grueling — to produce. But at least they start and stop every day. Callers get a voicemail or a busy signal. Guests have no one to ask them questions. Producers can go to sleep. On the internet, the line is always open. Digital producers on talk shows have found many ways to reconcile the difference between a show that’s supposed to be appointment listening and a platform that’s always available. In this episode of The Pub, we look at a few of those techniques. Some producers (me included) use digital tools — social networks (of course), Hearken, text messages — to bring listeners into the planning process and shape the shows we work on. Those tools also support conversations while they’re live in hopes of making the show and the resulting podcast a better service to listeners. Others treat the web as a place to put translations of shows — articles, lists and explainers that make sense online and are fueled by the conversations a show creates. Some producers see digital platforms as fan service more than editorial tools. And at least one show is using its online audience to dig so deep into topics, scientists are asking to see the results. All of these strategies work for their producers’ shows. But they wouldn’t necessarily work for someone else’s. Yet it’s human internet nature to want to copy what you see someone else doing. So, when there isn’t enough time in the day to do everything, how can a producer choose what’s right for their show? That’s what we get into on this episode of The Pub. We welcome your feedback on the show: You can reach me at gabe@gabebullard.com and on Twitter @gbullard; my supervising producer at Current, Mike Janssen, is at mike@current.org; and you can contact Current generally at news@current.org or @currentpubmedia on Twitter. Gabe Bullard is the senior digital producer for 1A. He had fun using Adam’s sound effects and music beds this week. Should public media be offering more help to its greener employees to avoid creating a class barrier?